Renowned as a beautiful maritime county, Hampshire has been visited, explored and adopted by a wide range of people. Some came to learn at a new university; to take the waters or tour the area, or to admire the natural landscape. Not all of them came by choice - Hampshire's ports have welcomed many exiles and refugees over the years. The exhibition is based around a number of themes, including the University itself, which developed from the Hartley Institution founded in 1862; tourism, which brought many visitors to Southampton for sea water baths, the mineral spring and attractive surroundings in the late eighteenth century; exiles and refugees; transport; and the natural Hampshire, the landscapes, flora and fauna of which have attracted the interest of many scientists and naturalists. Rare papers, photographs, manuscripts, newspaper cuttings and pamphlets from the University's extensive Special Collections paint a fascinating picture of the county and its people over the last few centuries. Items on show include a copy of The Southampton Guide published in 1781, which promoted the chalybeate spring situated near the Bargate, whose water was said to help with 'tedious and obstinate agues, black and yellow jaundice, scirrhus of the spleen as well as in the scurvey, green sickness and even paralytic disorders'. The water from the spring was directed into a fountain and fell into a basin on a fluted pedestal, which was formerly on display at the Tudor House Museum. An engraving of 1783 shows the ambitious scheme for the Polygon, which was to consist of 12 large house within an encircling road, each with a garden tapering to an ornamental lake, as well as a hotel, tavern and shops. Work began in 1768 but eventually failed due to lack of financial backing. 'Sharks in Solent. Mosquitoes Woolwich. Plagues W. Butterflies. 14 [July] Max sun 119. Many cases sun stroke. Grass scorched up. Many shrubs drooping. Fruit falling off. Professor Chris Woolgar, Head of Special Collections, says: "The University's archives are widely recognised for the nineteenth-century military and political papers held here, and for the resources on the relations between the Jewish people and others. However, we also hold a wealth of printed and manuscript material on the ancient county of Hampshire and the Isle of Wight." He continues: "Foremost amongst the printed collections contributing to this exhibition is the Cope Collection, the bequest of Sir William Cope of Bramshill. He came to Hampshire in 1851 when he succeeded to a baronetcy and spent more than forty years amassing material on his adopted county until his death in 1892. The Cope Collection is particularly rich in locally printed books and pamphlets and in topographical prints and drawings which together illustrate all aspects of local life." Manuscript material about Hampshire on display in the exhibition comes from the collections of the Duke of Wellington and Viscount Palmerston, both national figures with strong local connections. The University's archive holdings date back to the twelfth century and fill approximately five miles of shelving. The collection includes archives of international significance with a connection with the region, most notably in the Wellington, Palmerston and Mountbatten Papers. 'Coming to Hampshire' runs from Monday 15 October until Friday 7 December 2007 in the Special Collections Gallery in the Hartley Library on Highfield campus. The Gallery is open Monday to Friday between 10am and 4pm. Admission is free. 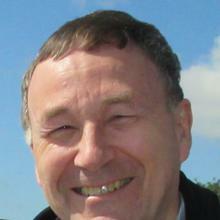 Professor Chris Woolgar is a Professor of History and Archival Studies at the University of Southampton. Digital images of some of the items in the exhibition are available from Media Relations on request. The University of Southampton's Special Collections Gallery in the Hartley Library was created in 2004 with support from the heritage Lottery Fund and a major investment by the University in the remodelling and extension of the Library. There are three or four exhibitions each year based on the collections.